Vaser Liposuction is one of the most advanced procedures that are recommended by the cosmetic experts for the sake of fat reduction and removal. Vaser techniques are premium and highly advanced in their offing and outcome that you can comfortably rely upon. The traditional Liposuction methods and procedures are not as sophisticated as the present generation therapies that are driven by Ultrasonic Vaser Techniques. The advantages of these cosmetic therapies include being minimally invasive and pain reduction apart from short duration requirement for the treatment purpose as well as post surgery recovery phase. In line with the upgraded sophistication offered by the Vaser treatments, our center for cosmetic care at Leeds has all the essential facilities and experts who will effectively address your preferences. 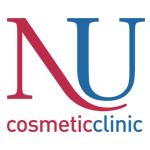 The philosophy of Nu Cosmetic Clinic revolves around facilitating personalized care and help people achieve transformational change with advanced cosmetic procedures. With our well spread out presence across the UK, we are more than committed to provide comprehensive care for various beauty and personality related challenges among which Vaser Liposuction is a premium therapy. Our cosmetic clinic at Leeds is also well equipped to provide end-to-end support and services pertaining to Cosmetic Vaser Liposuction which has multiple benefits of enhancing overall physical to emotional health. We seek reviews, expert feedback and suggestions from various platforms in order to stay connected with the patients’ expectations and also assess our own position in the competitive scenario of cosmetology industry. Not surprisingly, our Leeds Clinic has been maintaining premium performance ratings which are nothing but the reflection of our dedicated approach towards Vaser Liposuction as well as similar cosmetic solutions we offer at our specialty cosmetic center. 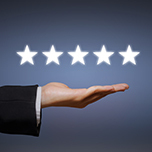 Our ratings also indicate our passion to stay relevant with the changing industrial standards and upgrade our cosmetic surgery facilities that can effectively enhance the comfort levels of our patients opting for Vaser Liposuction. From time to time, we publish some of the encouraging feedback and testimonials we receive from our patients who are experiencing the ultimate benefits of undergoing Vaser Liposuction at our Leeds Clinic. 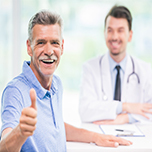 Our priority is patient satisfaction and we believe in achieving it with innovative solutions and extended services that are completely customized to address the specific patient needs. 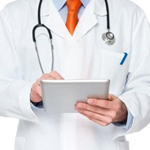 We also rest our case on facilitating solutions that are apt and relevant so that our patients are motivated by the treatment recommendations we offer, which is the reason why we choose to allow patients to refer to some of the motivating testimonials that will inspire confidence about cosmetology and relevant procedures like Vaser Liposuction. Vaser Liposuction is one of the highly recommended procedures for helping patients to achieve desired body shape, contoured impression and slimness. But, it also comes with its share of sensitivities because of which treatment by Vaser Liposuction experts alone is recommended. Mr.Gabriele Borghini is a specialist in Plastic Reconstructive & Cosmetic Surgery at our Leeds Clinic has proven track record of performing 8000 cosmetic procedures in the past 25 years. We are officially open from 9:00 to 17:30 during the weekdays. We are also open during the late weekdays and weekends to address special concerns and emergencies. Our Leeds Cosmetic Clinic is situated closely to the north west of Leeds City Centre at 8 Tinshill Lane, Cookridge, Leeds, LS16 7AP. Easily accessible from the City Center, our cosmetic center is equipped with contemporary facilities you can appreciate.